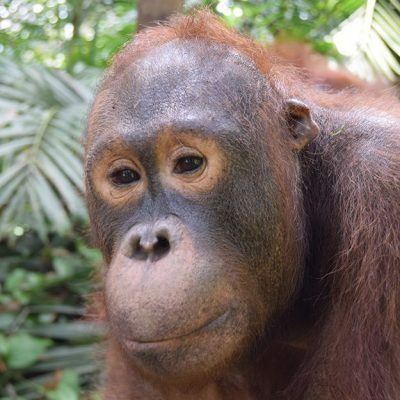 Out of all the orangutans I met during my stay at the Care Center, none surprised me quite as much as ESRI did. 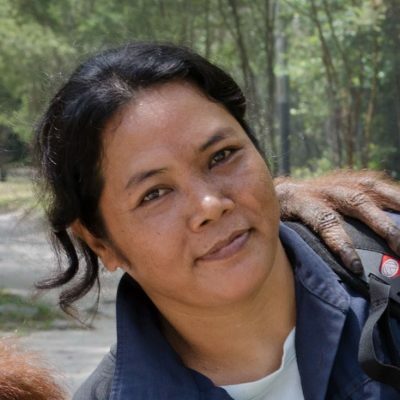 With her long, tapered face and somewhat crossed eyes, ESRI’s appearance is sweetly demure, yet she was one of the first orangutans to test me as a new OFI volunteer. In my first week, distracting me with a cute kissy-face, she pulled me roughly against the bars at the side of her enclosure, nearly stealing the sweater I held tucked under my arm. It was an important lesson concerning ESRI’s fickle behaviour. Always watch her wandering hand! ESRI’s personality is a study in contradictions. She is simultaneously gentle and rough, timid and brash, simple and cunning. The more time I spent in her company, the more I felt that I had earned her trust. However, at any moment- she could change my mind. Perhaps ESRI’s inconsistencies are due to her unusual history. Not everyone is born into an easy life, and ESRI has faced many challenges. Eyes cloudy with cataracts and a left arm severed at the elbow, ESRI’s disabilities left her afraid and distrustful of humans. Blindness made it difficult for her to notice when others approached and at times she reacted aggressively out of fear. 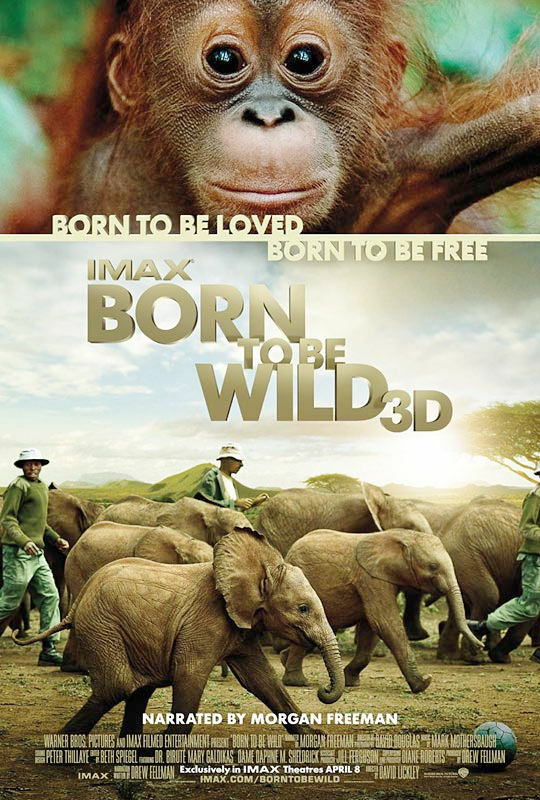 After some of these instances, ESRI developed a reputation as a temperamental orangutan. Some caregivers and volunteers chose to limit their interactions with this fierce spirit. Fortunately, in 2013 after two years of preparation (see accompanying story) a visiting veterinarian was able to surgically fix one of ESRI’s cataracts and restore her eyesight. A much happier ESRI has since come a long way in her rehabilitation and relationships. 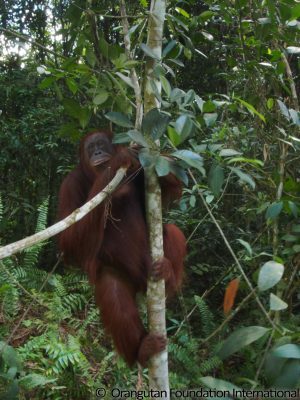 Although her remaining disability will make a full reintroduction back to the wild difficult, we are hopeful that ESRI can eventually be released into the forest. There are many ways that ESRI has learned to accommodate her differences. Without two arms ESRI can’t always move with the ease and finesse of an able-bodied orangutan. Yet she remains very capable. She often uses her feet as extra hands, and at times she even walks upright. With her eyesight restored, ESRI can now interact more confidently with her environment. Her cataract surgery also dramatically improved ESRI’s relationship with people. No longer fearing her surroundings, she has even developed a fondness for the company of others. Orangutans are famous for their solitary lifestyles, but ESRI enjoys daily visits from the caregivers and enrichment volunteers. Knowing that she is fascinated by detail and loves taking an up-close look at everyone and everything, I would sometimes quietly sit by her side and watch as her eyes studied each part of my face. Despite her age and history, ESRI maintains a child-like innocence. She has also developed a very affectionate nature that is quite disarming when you first meet her. She is about as gentle-looking as they come. But, as I came to learn, ESRI is no wilting wall flower. She is brazen when you least expect it. If there is food involved, prepare for a strong dose of puppy-dog like begging! ESRI is always trying to get herself more snacks by using her charms. 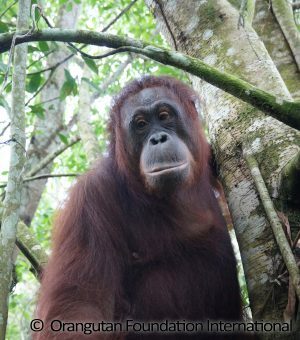 Orangutans are frugivores. They can tolerate the whole spectrum of fruit flavors, from eye-squinting sour to lip-smacking sweet, but some orangutans have a clear preference. ESRI is no exception; she waves her sweet-flag high! ESRI has a bigger sweet-tooth than a kid on Halloween. Bring her a pitcher of water flavored with orange electrolytes and you’ve got yourself a new best friend. When she spots an enrichment volunteer or caregiver arriving with her favorite snack, ESRI’s eyes widen in anticipation and she rocks excitedly back and forth on the balls of her feet. But once she lays her lips on the pitcher, be prepared to wait a while! ESRI prefers to drink her treat slowly- savoring every drop. But if you carelessly look away for a moment, ESRI will sneak her hand out underneath the pitcher and yank it into her enclosure. The enrichment department has lost many good water containers to this classic trick. ESRI’s appetite does not stop with vitamin water. She loves all different enrichment items, particularly the tasty ones. One of ESRI’s favorite indulgences is “bubur”, a type of Borneo porridge made with mung beans and raisins. As a special treat, a former enrichment volunteer (and ardent ESRI admirer), would bring ESRI a big spoonful of bubur to enjoy every morning. Who doesn’t love waking up to warm porridge? At the end of each day, caregivers bring ESRI a stack of branches for her to make an evening nest. 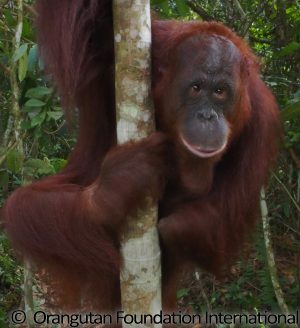 Nest-making is a daily ritual for wild orangutans, and ESRI waits patiently for her stack to arrive. She uses each branch with careful intent and doesn’t hesitate to discard what she sees as sub-par branches but not without first checking them for hitchhiking insects! While fruit is her stand-by favorite, ESRI is not one to turn down a tasty termite or two (or three, four or more). Enrichment is particularly important for ESRI’s development. By keeping her mind and senses stimulated, ESRI can continue to build her confidence with her caregivers and her environment. Getting to know ESRI was one of the highlights of my time at the Care Center. She has so much personality buried beneath her modest façade. I hope she continues to make new friends and discover her potential now that she is no longer blind. At the very least, I am certain she will continue to bewitch other unsuspecting volunteers! NOTE: When OFI rescued ESRI and brought her to the Care Center, she was already blind and her left arm severed at the elbow. Love this article on Esri!!!! Kaitlyn really did her proud! Thank you for such a delightful profile of this “bewitching” lady. Truer words were never spoken, as I, for one, was under Esri’s spell during my time at the Care Center. I’m glad she’s getting the attention she deserves. Esri rocks!!! It’s fantastic to see how much progress Esri has made. Many thanks and hugs to everyone at the OCCQ for all the hard work you do! I loved this article too…vivid and brilliant, it made me smile so much, plus a few tears of joy too that ESRI got her sight back…thank you Kaitlyn, and OFI for what you’ve done for her.